Drew Cole left his home in California a couple weeks ago to begin his 12-month apprenticeship on the San Juan Ranch. Drew was first introduced to the world of ranching when he offered to help out on a friend’s operation in Alberta, Canada during his college years. Upon completing his degree, he set out in search of additional experience in agriculture and ended up WWOOFing (World Wide Opportunities on Organic Farms) on various operations in Italy, where he worked with livestock, on vegetable farms and on an olive farm with 300 year-old trees. Drew learned about the New Agrarian Program while working on a ranch in the San Luis Valley of Colorado. In his own words: The agricultural wisdom, passed inadvertently from the dawn of human civilization in the Fertile Crescent to modern day ecologists, feels timeless and engrossing. I feel the pull of this ancient knowledge and want to explore it in as many ways as possible. This thirst is what made the San Juan Ranch apprenticeship really stand out as a rare and incredible opportunity. Not only are George and Julie willing and passionate about sharing their wisdom, but so is the entire Quivira Coalition, aiming towards the simple but oh-so-difficult goal of making the world a better place. I feel honored to be a part of it in the ways that I can. Drew is quickly settling into his new apprenticeship, and is currently immersed in the joyous chaos of calving season on San Juan Ranch! Patrice Treu began her 8-month apprenticeship with James Ranch in the third week of March, after moving up to Durango from her home in Santa Fe, New Mexico. Patrice grew up on a small farm in Wisconsin, where her parents raised a few beef cattle and tended a vegetable garden for the family’s use. 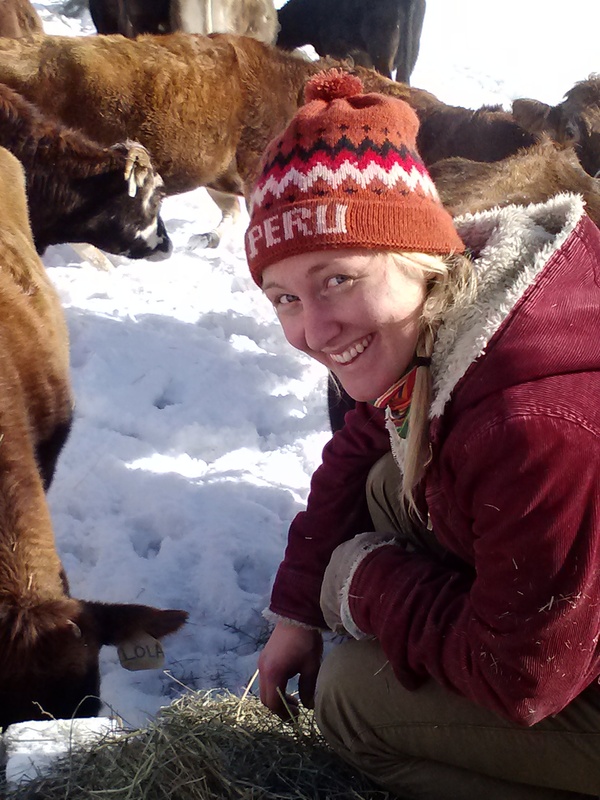 Since those early days in Wisconsin, Patrice has worked her way through both undergraduate and graduate degrees in philosophy, but the wish to be in agriculture never left her. Throughout her graduate studies at St. John’s College in Santa Fe, she continued to increase her experience in agriculture through a variety of volunteer and work opportunities on nearby farms and at the local farmers’ market. Here’s a snippet from an email she sent me after the very first day of her apprenticeship:This morning I learned how to herd cattle, how to tell whether they’re getting enough or too much to eat, and the beginning of how to steward grassy pastures. This afternoon I learned to herd elk back into the hills where they belong (wild! ), how to identify a peregrine falcon in flight, and how to deal with prairie dog towns. I’m loving it.